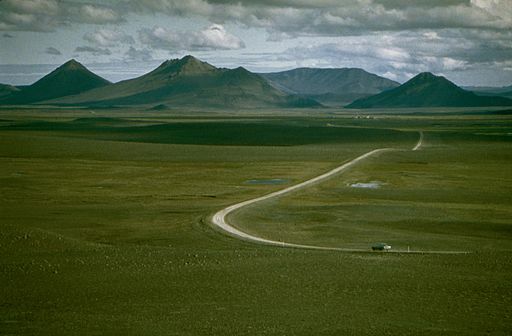 During summer you can drive across the interior of Iceland, the Kjolur route, or the Sprengisandur route (4×4 only). Gaesavavotn route (4×4 only) is so rugged that the average speed hardly exceeds 10 km/hour. Before setting off on the Highland routes, check the road conditions and remember that there are unbridged rivers to be forded! PLEASE NOTE: Some Highland route are for 4×4 VEHICLES ONLY ! <strong>Before entering the Interior Highlands Check Your Nearest Information Centres!